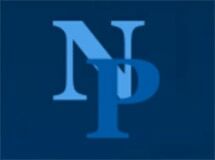 Neaton & Puklich, P.L.L.P., in Chanhassen, Minnesota, is a results-driven employment law, business litigation and eminent domain law firm. We remain a small firm by choice, focusing on the law and what we can do to achieve the best possible results for our clients. Knowledgeable eminent domain lawyers handling cases involving highway expansion issues, government projects impacting private property, power line expansion and wetland preservation issues. The lawyers at Neaton & Puklich, P.L.L.P., are trial-proven attorneys who are prepared to do what is necessary to protect your rights and best interests. We do not rely on smoke and mirrors or flash — our approach is to craft effective solutions to tough legal problems that are well-grounded in the law. To arrange a free consultation to discuss your employment law, business dispute or property rights in the face of eminent domain proceedings, call 877-813-4764 or 952-314-5779. Based in Chanhassen, we represent clients throughout Minnesota.